The newly established Hong Kong Maritime and Port Board (HKMPB) held its first meeting today (May 6). 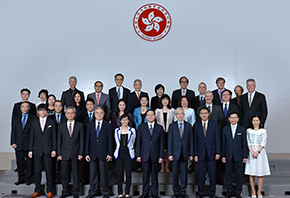 The Board discussed the long-term strategies and directions for the development of the maritime and port industries, with a view to growing Hong Kong's high value-added maritime services and maintaining the competitiveness of the Hong Kong Port. The Chairman of the HKMPB and Secretary for Transport and Housing, Professor Anthony Cheung Bing-leung, said, "The Government attaches great importance to the development of the maritime and port industries. We will work closely with the trade to create a maritime business-friendly environment, and join hands with education institutions and training providers to foster the development of manpower resources. We will also support and promote our maritime services, so as to enhance Hong Kong's status as an international maritime centre." At today's meeting, members discussed the means to capitalise on Hong Kong's strengths and grab the opportunities to drive industry development. 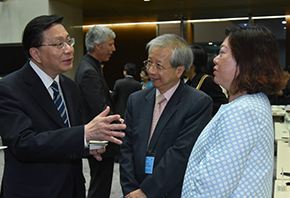 Professor Cheung said, "The National 13th Five-Year Plan has expressed clear support for Hong Kong to consolidate and enhance its position as an international transportation centre, and to promote professional services towards high-end and high value-added development. Coupled with the business opportunities brought about by the national Belt and Road Initiative, our maritime industry enjoys much room and advantages for further advancement. Hong Kong has what it takes to become an important international maritime services hub for the Mainland and the Asia-Pacific region. "Although we are faced with keen competition from other major ports in the region, Hong Kong has a long-established maritime tradition, entrenched unique institutional strengths, and a vibrant maritime services cluster. 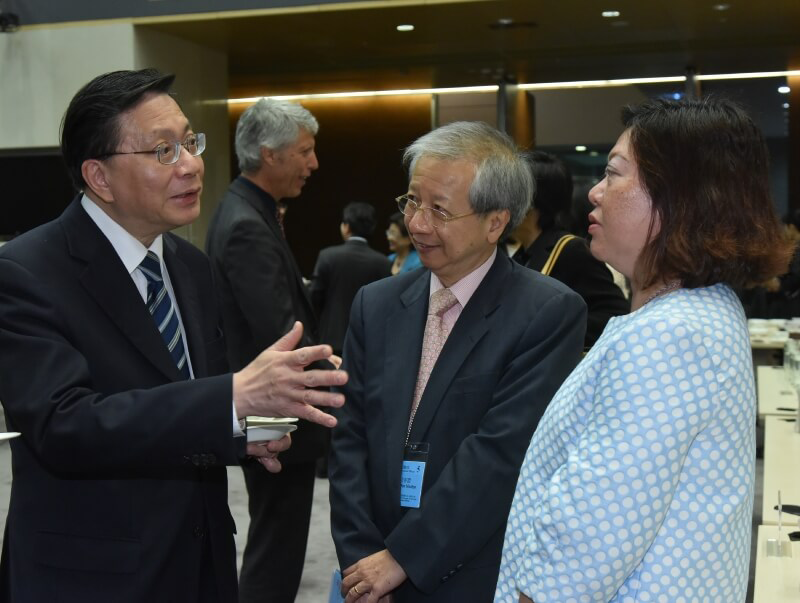 Members at the meeting in general consider that Hong Kong should make full use of its soft power and build on its existing foundation to develop further through a multi-pronged approach. We will implement measures as necessary to spur the growth of Hong Kong's maritime cluster and to create a business-friendly environment for the maritime industry on the one hand, and nurture new blood and build up a talent pool on the other. At the same time, we will engage the industry actively to step up efforts to promote Hong Kong's role as a 'super-connector' in overseas and Mainland markets." To assist the Government to formulate strategies and policies on maritime and port development, the Chief Executive announced in his 2016 Policy Address the establishment of the HKMPB by merging two advisory bodies, namely the Hong Kong Maritime Industry Council and the Hong Kong Port Development Council. 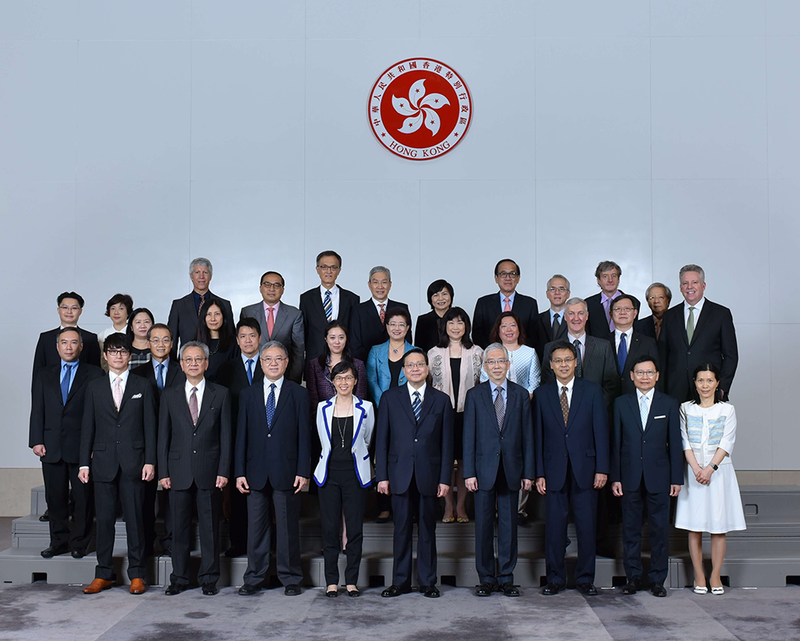 The HKMPB is a high-level steering body and its members were appointed on April 1, 2016. Three functional committees are formed under the HKMPB, namely the Maritime and Port Development Committee, the Manpower Development Committee and the Promotion and External Relations Committee. They are chaired by industry figures (i.e. Mr Andy Tung, Mr Irving Koo and Mr David Cheng respectively) to strengthen the industry's involvement in the strategy and policy formulation process. Details of the HKMPB are available at http://www.hkmpb.gov.hk/en/index.html.